How Good Are The Best Home Microderm Products? So, what exactly is microdermabrasion? For those of you who do not know, it is a deep exfoliating treatment, used to take off the top layer of dead skin, to leave you skin silky smooth as well as encourage cell turnover. Usually, the treatment is performed within a local beauty salon. However, new home products now available enables you to achieve amazing results without having to leave the comfort of your home. Incase you aren’t yet sold on this idea; here are some of the best home microdermabrasion products on the market. This product is not only cheap, but also provides excellent results. Formulated in mineral-rich clay, the microdermabrasion treatment will awaken dry, dull, and flaxy skin, transforming it into beautifully smooth and glowing skin. Furthermore, the product is great for sensitive skin, and allows for an even and flawless makeup application. Zenmed works especially well when used in combination with Skin Eraser. Dr Brandt’s Microderm effectively reduces the appearance of acne scarring, fine lines, and wrinkles. It is a fabulous treatment for smoothing the skin, and in preparation for absorbing mineral packed skincare products. If you want to go one step further, the PMD Personal Microderm is a fabulous microderm product that will provide professional results via a series of treatments. You will quickly notice a more even skin tone, and within a few weeks be enjoying the benefits of a silky soft complexion. This microdermabrasion exfoliator is gentle on the skin, yet greatly improves its appearance. Included is aluminium-oxide micro crystals that slough away dead cells, thus creating a clear, and vastly rejuvenated look. 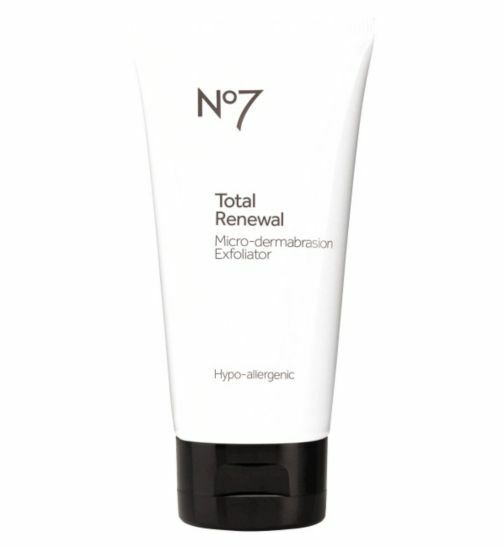 No.7’s Microdermabrasion will not only create radiance, but also fights unsightly acne, blemishes and sun-damaged skin! All this for only £11!